WordPress is an online, free and open-source content management system (CMS) based on PHP and MySQL. WordPress was used by more than 26.4% of the top 10 million websites as of April 2016. But in non-geek speak, WordPress is reportedly the easiest and most popular content management system in use on the Web, supporting more than 60 million websites. Why use the WordPress Content Management System? Do all websites using WordPress look the same? What is possible? In short: No. There are many thousands of layouts possible and an infinite number of colour, style and design combinations for your website design from New Zealand Affordable Websites. You only get one chance to make a first impression, and your website design can influence how your company is perceived in the market. At New Zealand Affordable Websites we understand the power of brands, we make sure your WordPress website design embodies the personality and image you want to portray, and leaves a lasting impression on your customers. The WordPress website designs we create are unique, customised and can be fully aligned with your overall design & marketing portfolio. The creators of WordPress don’t really have any extensions however the WordPress platform can be extended. WordPress extensions are made by 3rd party creators and more commonly knowns as a WordPress Plugin. These are only recommended to be used when dealing with quality plugin authors. Some plugins from a 3rd party can also cause your website harm with unknown code that can allow backdoors to your website. Authors you can trust as a 3rd party plugin provider would be authors like WooThemes. They provide different themes and plugins to extend the functionality of WordPress. A known plugin created by the Woo team is WooCommerce. This is a free plugin that allows you to turn your WordPress website into an online store taking online payments. 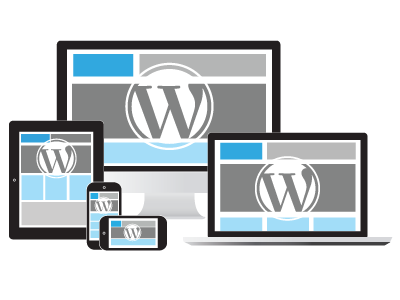 WordPress is the single most popular website content management system in the world. It’s used by about 18% of all websites and is by far the most dominant open source system available. Many companies worldwide are now using WordPress for their websites including Volkswagen, Mashable, Sony Playstation, Samsung, NY Times and many more. Don’t you think these brands would choose a powerful, effective, stable and highly supported CMS? They have. WordPress fits the bill perfectly. Do WordPress websites work well with Search Engine Optimisation? WordPress is extremely efficient for search engine optimisation (SEO) and with the addition of SEO plugins (which we include as standard) can become very powerful at gaining and keeping Google search engine ranking and compares favourably against many other systems on the market. Add SEO services to your WordPress website and you could have an advantage over your competitors right from the start. New Zealand Affordable Websites will recommend additional SEO services for your site if relevant. WordPress also makes excellent use of social media compatibility. Would WordPress be right for me?